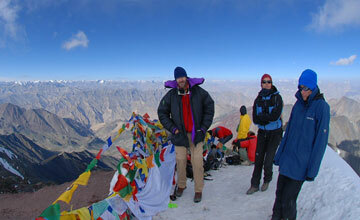 Manali Ladakh trekking is popular trekking tour in India. India Manali Ladakh trek offer beautiful Himalayan views, beautiful landscape, temples , beautiful jungle and mixed cultural heritage of India. 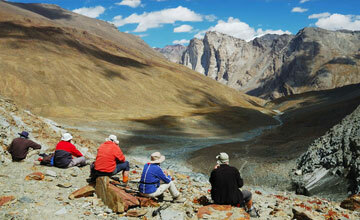 Delhi Manali Ladakh trekking take to you heart of the India and beautiful place of India. The road journey from Manali to Leh, offers a hike over some of the world's highest passes and the most stunning mountain desert landscapes, promises to stir up the appetite of those seeking a truly Himalayan adventurer . Normally Autumn & spring season is best time trekking in Manali Ladakh but we Himalaya Journey Trekking arrange around the year as per travelers choice and wish. 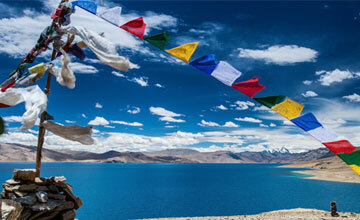 Minimum three weeks holidays required for Manali Ladakh trek & good physical fit essential to reach the destination. 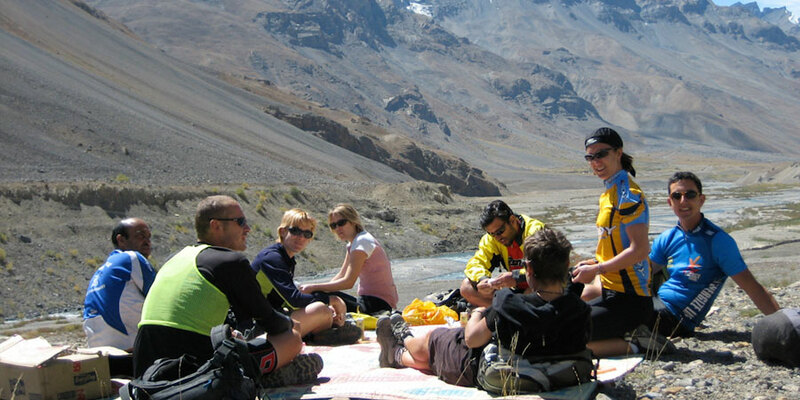 Since Manali Ladakh trekking trails has been opened we Himalaya Journey Trekking arrange numerous trekking groups in relevant areas. Day 01: Delhi: Arrive Delhi, meet and transfer into a hotel for an overnight stay. 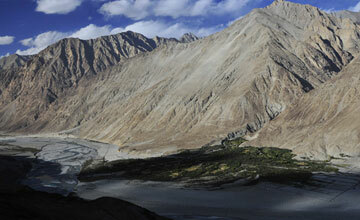 Day 02: Delhi-Manali: Take the dramatic morning flight to Kullu, then continue by jeep to Manali. Day 03: Manali: Day free to explore Manali. Stay overnight at a Hotel. 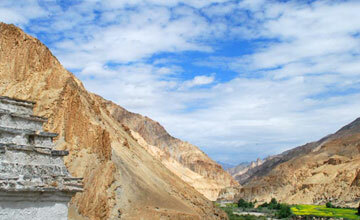 Day 04: Manali: Spend an additional day in the Kullu valley, to explore the surrounding region. Day 05: Manali-Lamadug: Trek out of Manali to the open meadow of Lamadug. Day 06: Lamadug-Riyali: Trek to Riyali, just above the treeline. Day 07: Riyali-Kali Yani Pass: Continue to the base camp of Kali Yani pass. 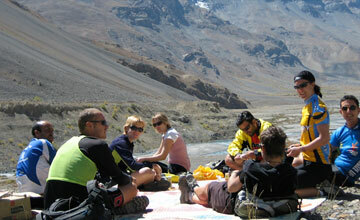 Day 08: Kali Yani Pass: Rest day in this spectacular natural setting at the base of the pass. 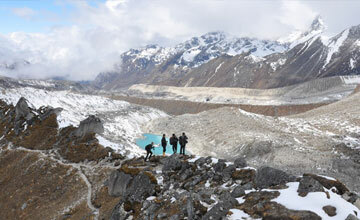 Day 09: Kali Yani Pass-Donku Thach: Over Kali Yani Pass (4,725 metres) to our streamside camp at Donku Thach. Day 10: Donku Thach-Lamapar: Continue down valley towards the shepherd camp at Lamapar. Day 11: Lamapar-Dalmarhi: Trek through a verdant valley with peaks all around to our camp at Dalmarhi. Day 12: Dalmarhi-Barabhangal: The trekkers reach their first village in 7 days, Barabhangal. 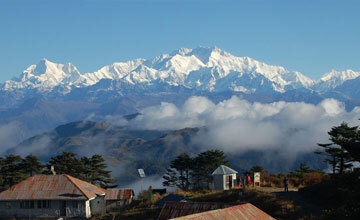 Day 13: Barabhangal: A rest day in the fascinating view of the village of Barabhangal. Day 14: Barabhangal-Thamser Pass: A steady climb to our camp at the base of Thamser Pass. Day 15: Thamser Pass-Pannatu: Over Thamser Pass (4,570 metres) to Pannatu. 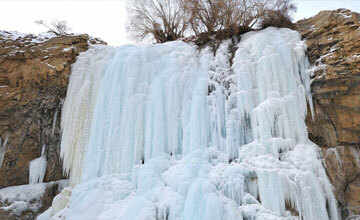 Day 16: Pannatu-Palachak: Trek along the river and through the woods to the tiny settlement of Palachak. Day 17: Palachak-Biling: Pass through several small villages on the way to the camp at the village of Biling. Day 18: Biling-Mcleod Ganj: Continue down to the Tibetan refugee camp at Bir, then travel by jeep to McLeod Ganj, home of Tibet's government-in-exile. Day 19-20: Mcleod Ganj: Spend two additional days in McLeod Ganj to visit the Tibetan library, local Buddhist monasteries, and the town's colorful marketplace. Day 22: Amritsar-Delhi: Catch an early morning express train to Delhi. Check into a hotel for an overnight stay. Day 23: Departure Transfer: Depart- Delhi and transfer to airport for catching a flight to onward journey. Domestic airport pick up and drop by private car/van/ Minibus / Bus to catch Delhi Flight . Guide and Driver fares and taxes.